Probably the most iconic feature in the solar system, the rings of Saturn were among the first features discovered by Galileo. 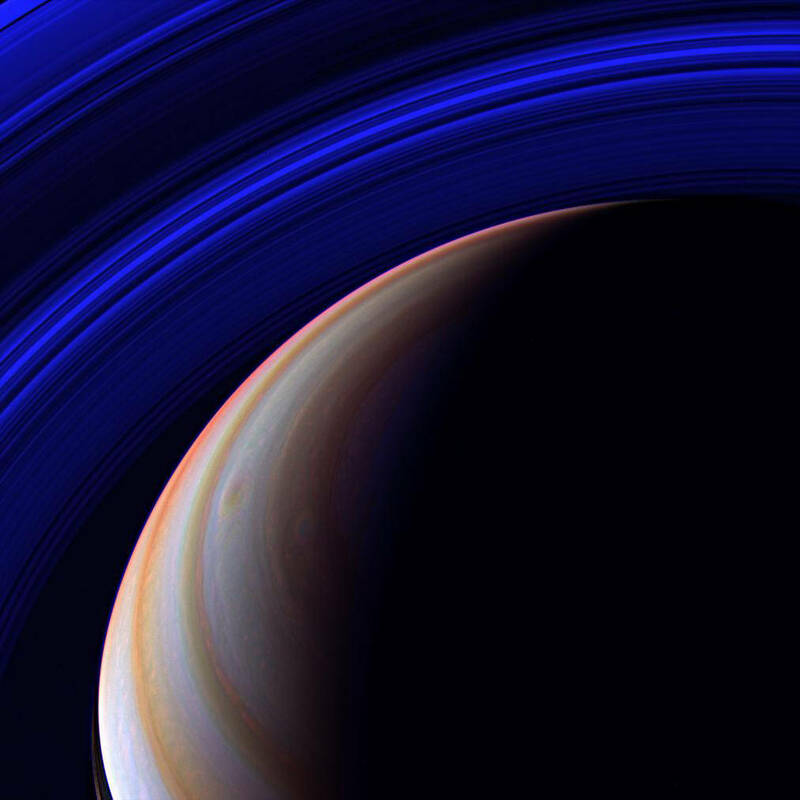 Despite several other planets possessing ring systems, nothing compares to the stunning beauty and complexity of Saturn’s. 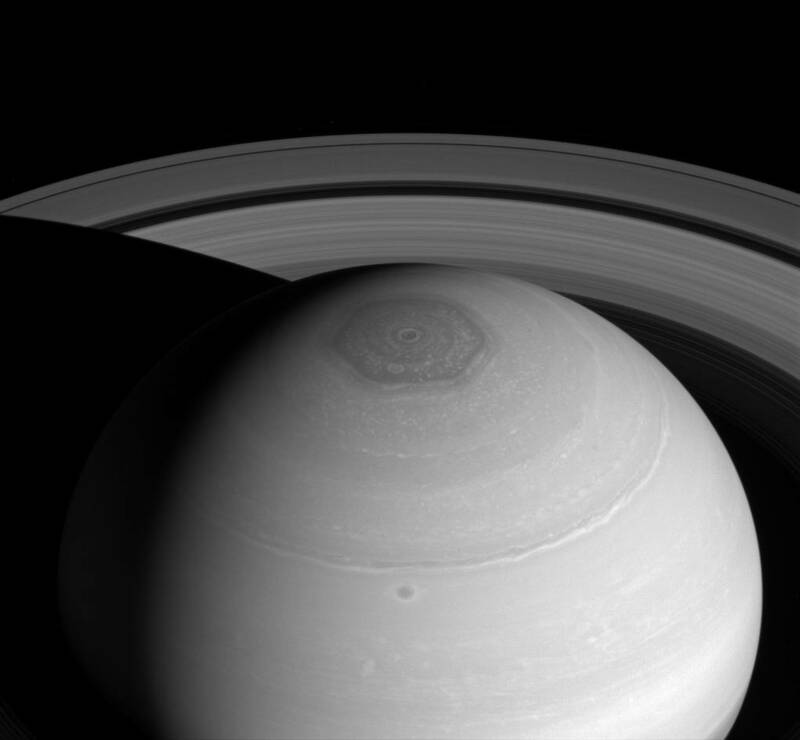 The Cassini spacecraft revealed the rings almost unimaginable detail and discovered strange features you can learn about below! 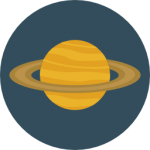 Fast Summary Facts About Saturn’s Rings! 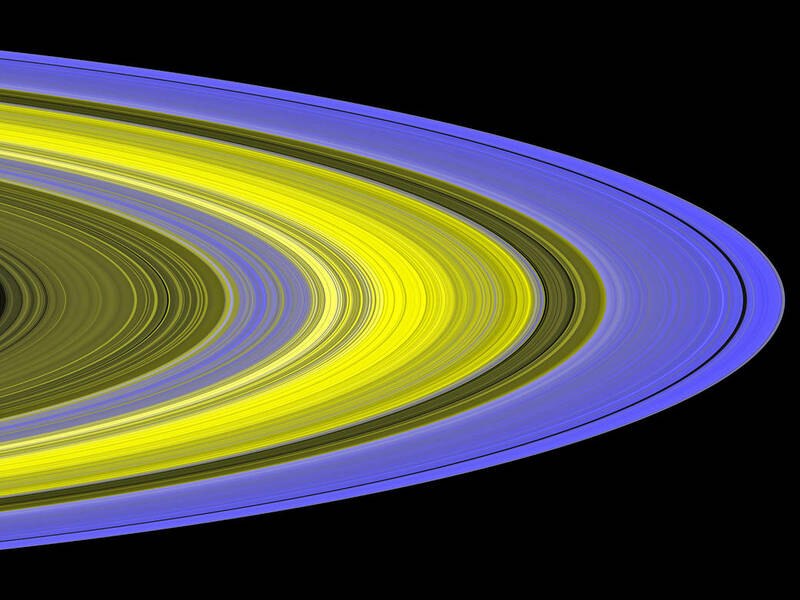 Cool Facts About The Solar System’s #1 Ring System! Despite existing in orbit around Saturn for possibly millions of years, it wasn’t until Galileo Galilei observed Saturn with his telescope in the year 1610 that he first saw the rings! 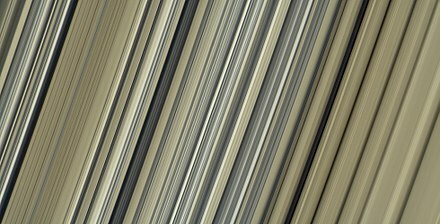 Scientists are still not sure how old the rings are or how they formed! They could have formed when Saturn did or was previously a small moon blasted apart by a comet. They could have even formed when a small moon which was ripped apart by Saturn’s tidal forces. 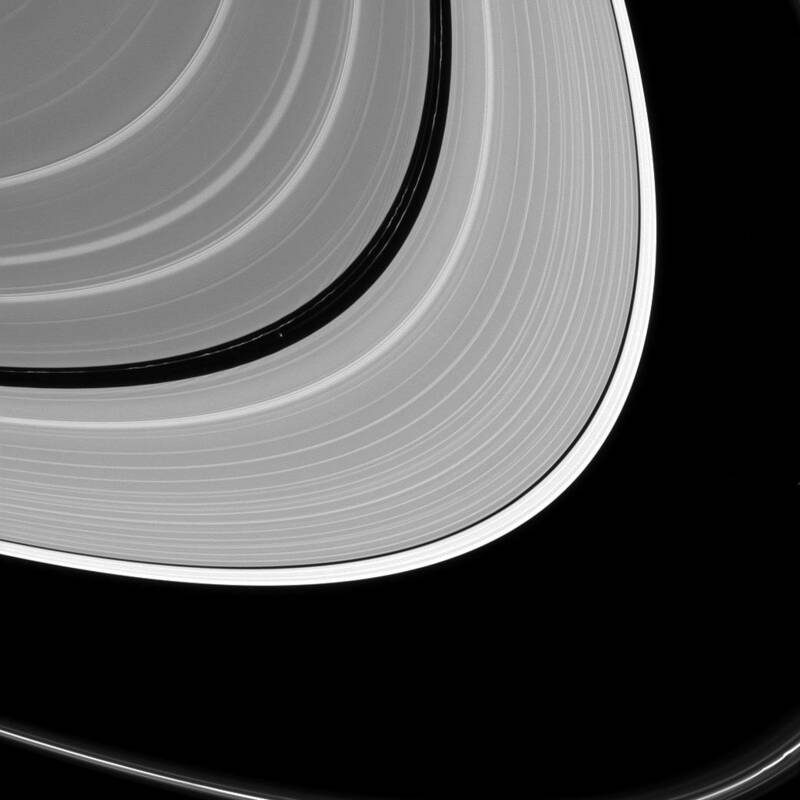 Despite the rings appearing like a solid disc around Saturn, the rings are actually made up of billions (maybe trillions!) of small particles and moonlets from as small as dust to the size of mountains! 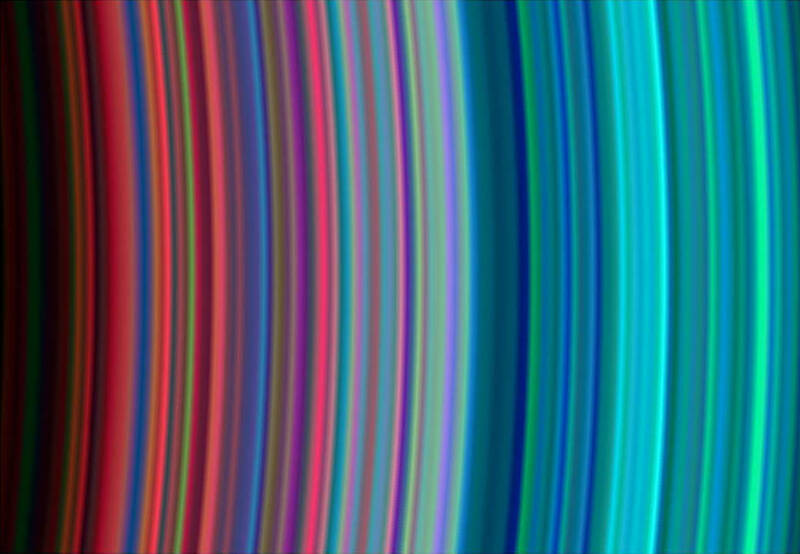 The width of the main disc of rings is 140,000 kilometres (11 times Earth's diameter! ), but to the edge of the outer E-Ring is over 480,000 km (300,000 miles)! There are as many as 1000 individual rings which make up the whole ring system. 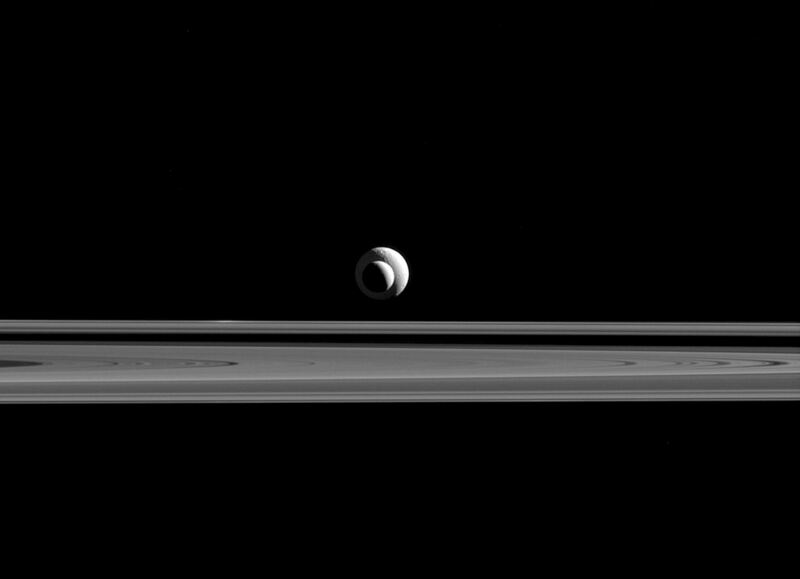 Some are separated by gaps of empty space which correspond to regions of orbital resonance with Saturn’s small inner moons. 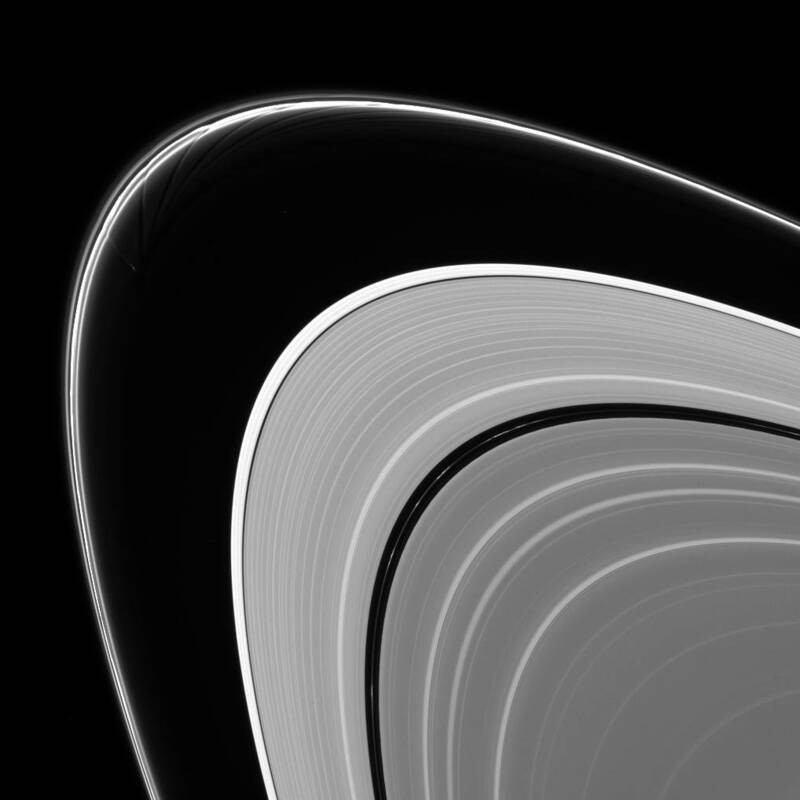 Astronomers have identified several major ring zones which have been named A, B, C, D, E, F & G. The widest and densest rings are the A & B rings which are separated by the 4,700 km wide Cassini Division. The Cassini spacecraft (which orbited Saturn, studying the planet, its moons and rings) observed Saturn’s inner moon Enceladus, ejecting material which forms the outer E-ring. One of the coolest features Cassini discovered were little ‘moonlets’ the size of small mountain’s that are embedded in the rings. As these moonlets orbit Saturn, they gravitationally disrupt the tiny ring particles on either side which forms waves that resemble propellers! 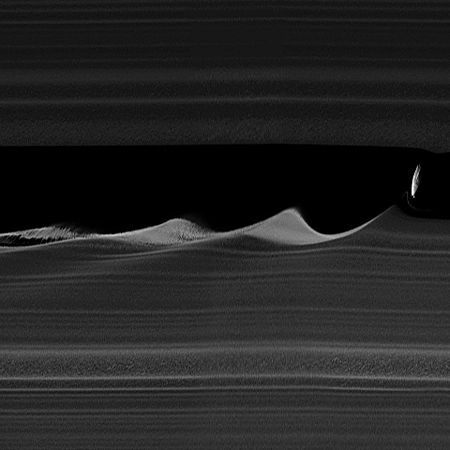 Cassini also observed temporary features known as ‘spokes’. 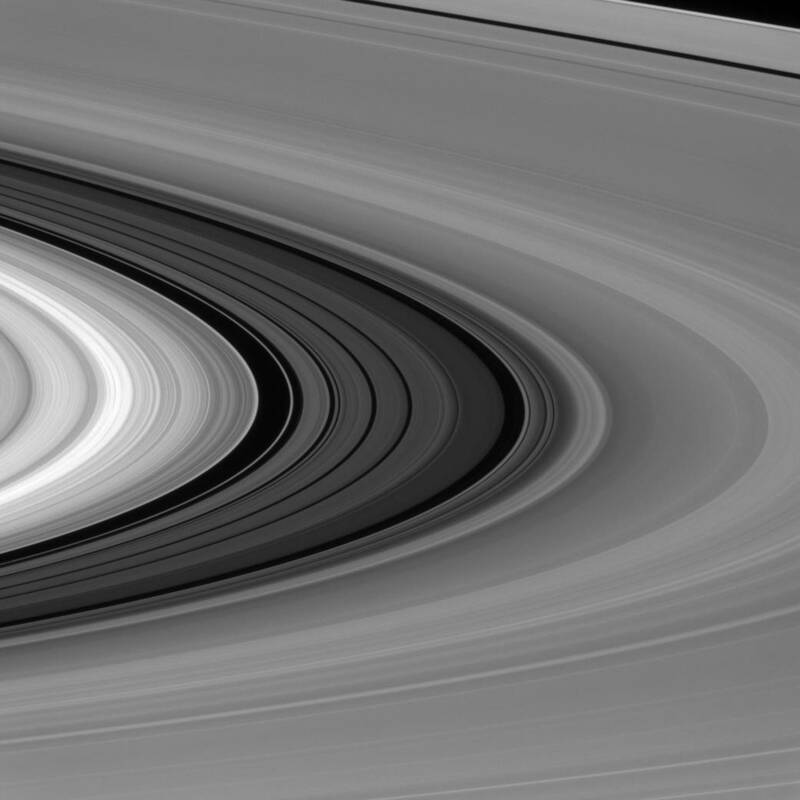 These spokes are believed to be tiny ice particles that are lifted above the rings by an electrostatic charge. They are faint, but some can be longer than 16,000 kilometres (10,000 miles)! 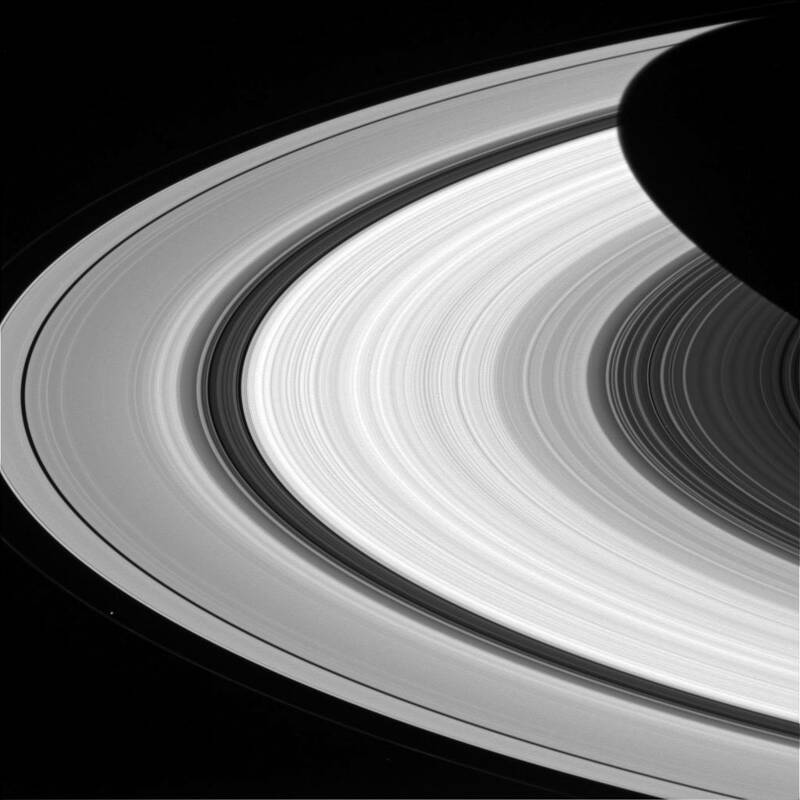 Once every 15 years during Saturn’s equinox, the rings are positioned edge-on to the Sun. 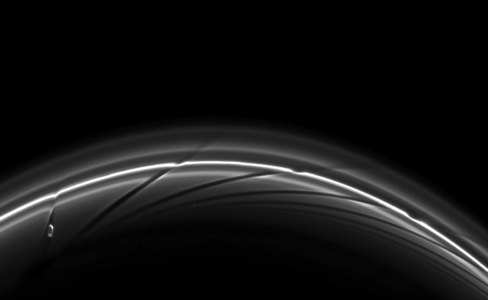 This reveals long shadows of tall structures within the rings! 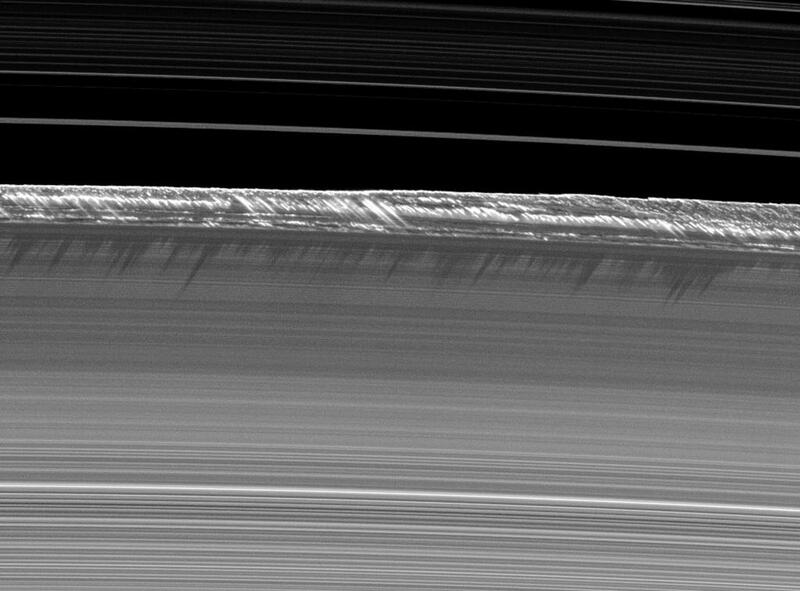 Some icy features protrude up to 2.5 km (1.5 miles) above the relatively flat icy rings. 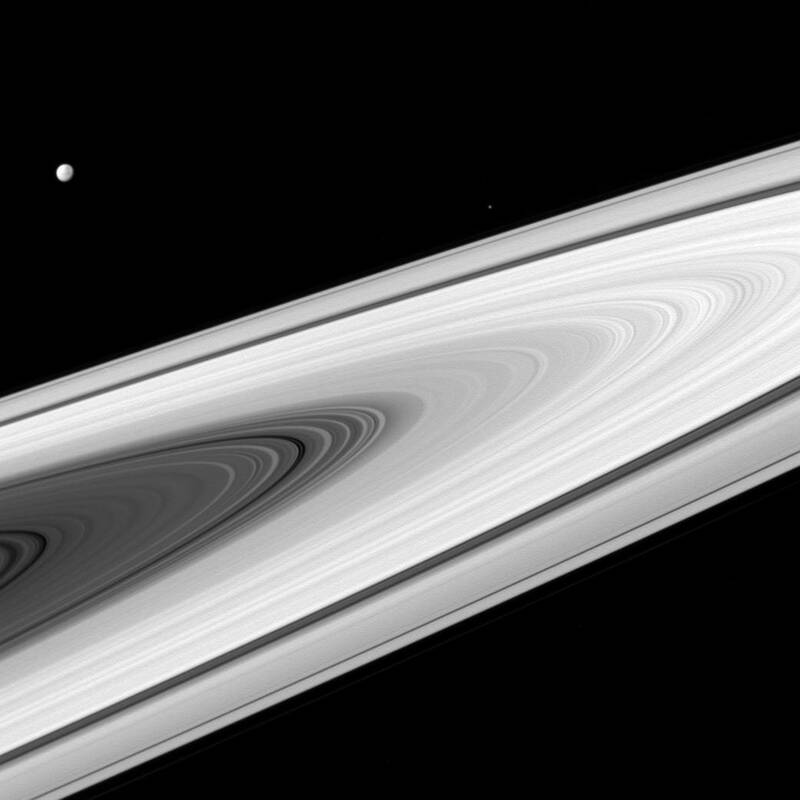 Wouldn’t it be amazing to be in a spaceship and fly around these icy mountains amongst the rings?! 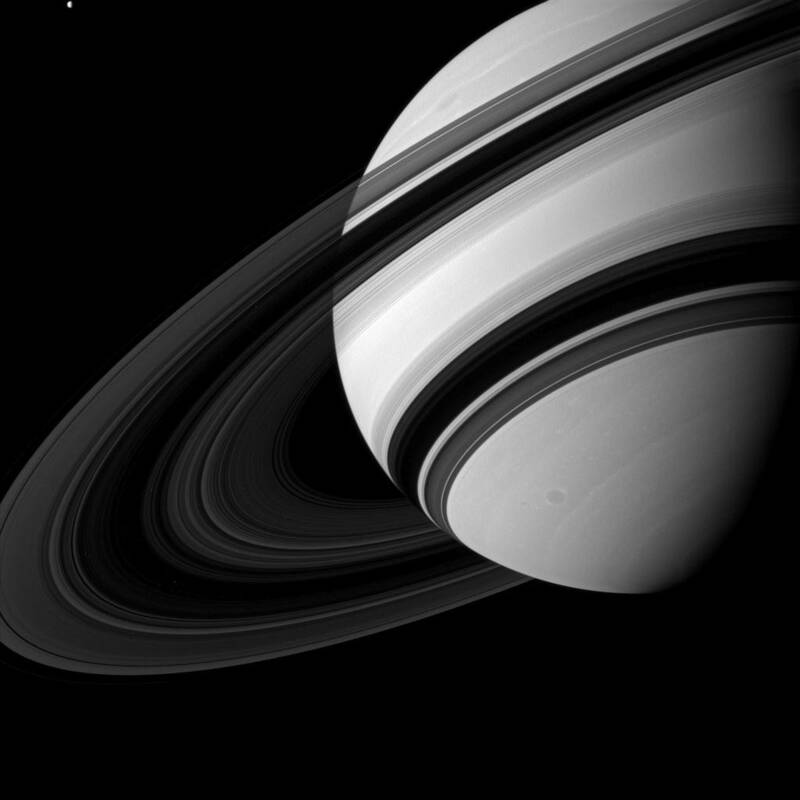 A total of 4 space probes have visited Saturn and its ring system. Three made flybys - Pioneer 11, Voyager 1 and Voyager 2. In 2004 the Cassini-Huygens spacecraft entered orbit to study the ringed planet, its moons and the majestic rings up close! No future missions are planned to visit Saturn and its rings, but due to the moon Enceladus possessing a potentially habitable environment. It surely won’t be long before one returns! I can’t wait to see what they discover!